Schwartz & Wade Books, 9780375870224, 40pp. 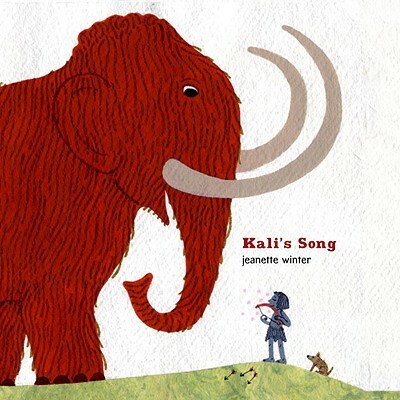 Renowned picture book author and illustrator Jeanette Winter brings us the enchanting story of a boy named Kali who lived thousands and thousands of years ago. Kali must learn to hunt, like the rest of the men in his tribe. But when Kali plucks the string on his bow, he forgets about shooting arrows, and makes music long into the night. Even the stars come close to listen. This lovely story celebrates the uniqueness in all of us, the beauty of the natural world, and the power of music and art over violence. According to the "New York Times," it "will resonate with all young children who seek to find their path in the world and may perhaps be a bit wary of other people's expectations. JEANETTE WINTER has written and illustrated almost 50 books for children, including "The Watcher: Jane Goodall's Life with the Chimps, Diego" ("New York Times" Best Illustrated Book, Parents' Choice Award winner, and Notable Children's Trade Book in the Field of Social Studies), "Emily Dickinson's Letters to the World" ("New York Times" Notable Book, Parents' Choice Silver Medal), "The Librarian of Basra "(ALA Notable Book), "My Name Is Georgia" ("Publishers Weekly" Best Book of the Year, ALA Notable, "Booklist" Editors' Choice), and "Mama" ("Boston Globe-Horn Book" Honor Book, Society of Illustrators Silver Medal). Her art with flat colors and perspectives in the folk art tradition has brought her many honors.